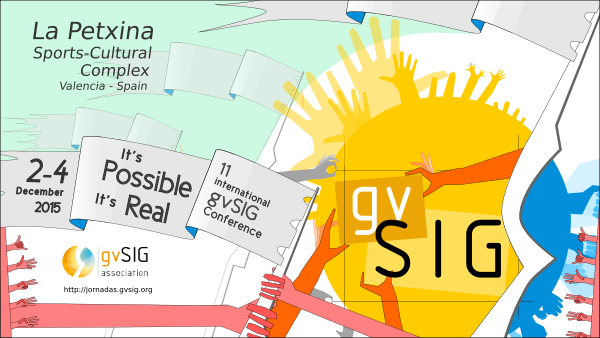 We would like to inform you of the availability of presentations presented during the 11th International gvSIG Conference, which were held from December 2nd to 4th in Valencia (Spain). There were workshops about gvSIG Desktop new features and gvSIG applied to urban planning (in English), and gvNIX and Scripting on gvSIG (in Spanish). You can find all the information about the material needed to follow it. With this publishing, we pretend to bring the Conference closer to the interested people that couldn’t attend the event, having the possibility to access to the recording of the different sessions. This entry was posted in community, english, events, gvNIX, gvSIG Desktop, gvSIG Educa, gvSIG Online, gvSIG Roads, training. Bookmark the permalink.